Azerbaijan and Russia are in an escalating diplomatic battle over the former’s policy of denying ethnic Armenians of any citizenship entrance to the country. Disputes over the longstanding, informal ban – in which Azerbaijani border guards turn away any visitor with an Armenian-sounding name – pop up occasionally, often when Moscow needs a cudgel to use against Baku. The last big flare-up was in 2017 when the two countries were feuding over Azerbaijan’s prosecution of a travel blogger and Russian citizen who had visited Nagorno-Karabakh, the territory at the center of the dispute between Armenia and Azerbaijan. The current blow-up seems to have its origins in a December 29 Facebook post by a Russian woman of Armenian descent who detailed her experiences of trying to fly to Azerbaijan for a New Year’s holiday only to be detained at the Baku airport for several hours, along with several other Russian-Armenians, before being put on a plane back to Moscow. The post was widely shared and on January 11, the spokesperson for the Russian Ministry of Foreign Affairs, Maria Zakharova, was asked about it at a press briefing. Zakharova said that Moscow had “regularly raised this question with Azerbaijan and said that such cases were unfortunately becoming a bad and wrong tradition.” She said that the ministry had counted at least 16 similar cases in 2018. “The Russian Foreign Ministry repeatedly emphasized in conversations with the Azerbaijani side that the present situation is unacceptable and demanded the end of the practice of detention and expulsion as incompatible with the friendly relations between the two countries,” she added. The same day, Azerbaijan’s ministry of foreign affairs responded with its rhetorical guns blazing in a statement detailing Azerbaijan’s many grievances with Armenia, centered around the unresolved conflict in Karabakh, the territory internationally recognized as part of Azerbaijan but which has been controlled since 1994 by Armenian forces. 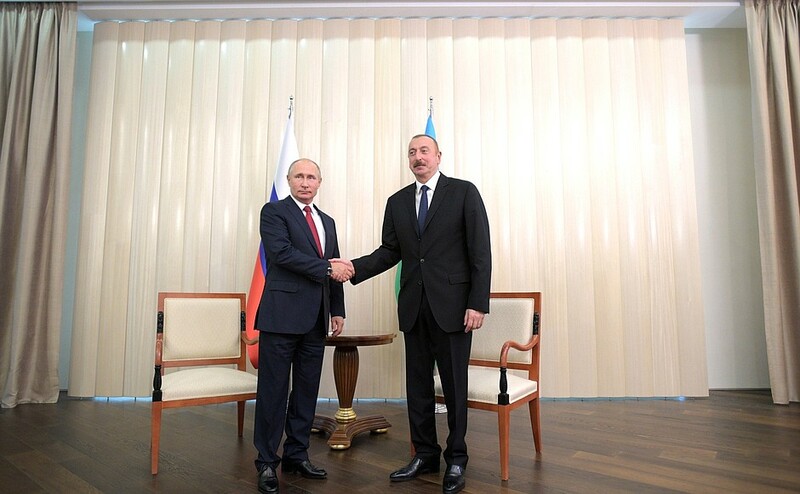 The Azerbaijani note also pointed out that some Armenians of Russian origin, for example members of sports teams, are regularly admitted into Azerbaijan. About 880,000 Russians had visited Azerbaijan in 2018 and “the overwhelming majority of them were satisfied with their visit and expressed their appreciation for the hospitality,” the MFA said. The statement went on to accuse “certain people in the Russian Ministry of Foreign Affairs” of trying to sabotage the warming relations between Moscow and Baku as the Kremlin’s dissatisfaction with Armenia’s new government continues to fester. This appears to be a reference to Russian Foreign Minister Sergey Lavrov, whose father was Armenian, leading many in Baku to believe as a result that he takes Armenia’s side in the dispute with Azerbaijan. And indeed, the conflict is taking place against the backdrop of cooling Armenia-Russia ties. Moscow is increasingly showing its dissatisfaction with the new regime of Prime Minister Nikol Pashinyan, and many in Baku – believing that Moscow has many strings to pull in the conflict – are hoping to take advantage of this chill to their advantage. But that makes Baku’s pugilistic approach to the criticism all the more inexplicable. While Azerbaijan’s statement did not address the presence of the informal ban on Armenians, behind the scenes Baku reportedly agreed with Moscow to do something about the policy. And it concluded by signaling its intention to keep fighting: “We would again like to note that the Azerbaijani side will undertake appropriate actions in relation to further steps by the Russian MFA press service.” As of the time this piece was posted, Russia had not responded. Stay tuned.